When it comes to buying gold, one grade does not fit all. Like diamonds, gold is measured in karats. Bars and jewelry are stamped at the time of creation for easy identification. The higher the karat rating, the more expensive the metal. But why? A karat is a unity of measure which represents purity level. It may be shown as xxK or xxKT when stamped. A karat is the ratio of gold to other included metals or alloys melted in to add volume. The karat scale goes from zero to 24. 24 Karat is as pure as you can get, its only comprised of gold itself. 0 may have a miso-mash of other metals melted in. These other metals may include nickel (though that is not very common practice any longer), copper, silver, or even palladium. Why would anyone add other metals to gold? It isn’t that gold producers are trying to be cheap or get away with anything, gold itself is a soft malleable metal. Other metals are often added in for strength. If you wear 24 karat gold jewelry and you are the kind of person who is “tough” on your pieces – you like to wear your jewelry to work or to the gym, or doing other kinds of physical activities that may bump or scrape, you can easily end up with bent, scratched, or dinged gold pieces. A stronger lower karat blend is more durable and the color may be more pleasing depending on your taste. A great example of color change would be mixing nearly equal parts of gold with copper. The result is the much collected rose gold. Example: You own a necklace that is 14K gold. The maximum number of Karats possible is 24 on the scale. The math lays out like this: Divide your 14 karats by 24. Your result is .583. That number means your gold is 58.3% pure. GF = Gold filled. Similar to gold plated. The gold is heat and pressure bonded to a metal base. Minimum gold purity of 10k. HGE = Heavy Gold Elrectroplate & Gold Electroplate = Metal base with gold electrically deposited. Again, 10K is the minimum karat used. EPBM = Electroplated Britannia Metal. This is not gold. It’s an alloy of zinc, lead, copper, silver, and sometimes tin. EPNS = Just turn around and walk away. Its completely worthless. EPNS stands for Electroplated Nickel Silver. The lower the karats, the stronger the piece will be. Higher karat gold is far more tarnish resistant. Higher karat gold is more valuable. Higher karat gold will be much more yellow in appearance. Gold will always hold value even if a currency system collapses. Small amounts of gold are used in your computers because gold is a super conductor. Gold is used in dental applications. Gold is sometimes used in medical applications both as a “drug” for certain medical treatments as well as in medical instruments. Choose your purity level based on use. 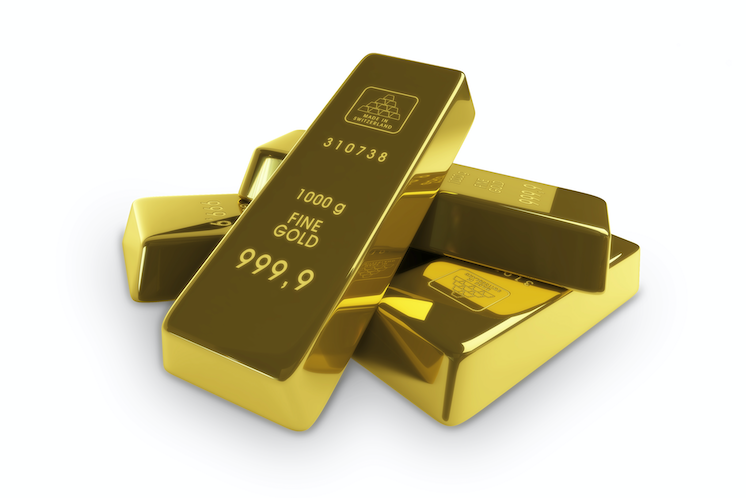 If you are buying gold as an investment in the form or bars, go as high a karat number as you can. If you are looking to soup up your wardrobe and buy a nice ring, necklace, watch, or bracelet, go with the lower numbers for durability and save yourself time and money on repairs. Have a gold piece and are unsure what purity it is? bring it in, we can identify it for you! 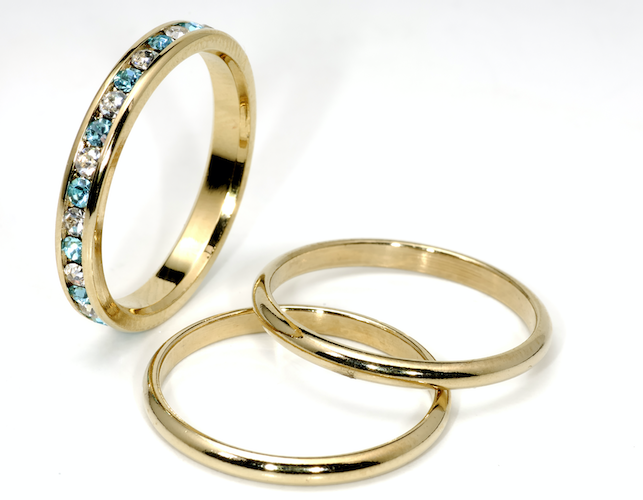 At First Pawn we have an on site jeweler who can test your gold while you watch. Jewelers have special testing kits. They rub a minute amount of gold on to a stone and test it with different acids. Once it dissolves they know what karat it was. First Pawn Jewelry and Loan buys and sells gold daily. We would love to take a look at what you have and if possible, make you an offer – either for a loan if you need it or to sell if you simply don’t wear it anymore. If you are looking for a special piece, our buyers really have an eye so you never know what you will be lucky enough to find. We buy designer pieces and sell them at a fraction of the retail price!